Swen Virus | How to Remove Swen Worm Virus? Swen is a malicious program that replicates and spreads on its own, it is technically classified as a worm virus. Swen does not require any human aid to replicate and circulate not only inside a computer but also to other computers connected to the network. The Swen worm is considered greatly dangerous because of its ability to spread rapidly. To elaborate, a Swen virus infection happens unnoticed and swiftly, the computer user will be unaware of the hit until everything comes to a grinding halt abruptly. Swen virus infects a computer and tries creating a copy of itself as a Windows executable file (.EXE). When infecting the computer is complete, it will move on to use the network to connect with the source computer. Its main purpose is to update and download other malware programs and files. In the process, it will automatically pursue to damage the Windows Registry of the infected computer. The idea is to stay undetected, safeguard other malware it downloads, run when the computer boots up, and eventually gain full control over the victimized computer. When a computer or network is under the attack not many are aware of how to remove swen worm virus? In order to know better continue reading. Worms – What are they? The term worm in computing refers to a malicious software whose main role is to infect computers, remain active on the infected system and self-replicate. A computer worm is programmed to duplicate rapidly and spread to uninfected computers. A user realizes the existence of a worm virus infection only when the disk space and system resources are consumed entirely. Worms such as Swen are malicious codes which are one of the most destructive forms. Their duty is to infect a computer with the main intention of upsetting the normal computer activities. Swen worms have the ability to replicate and spread themselves. A Swen worm virus will infiltrate the operating system of a computer to spread the malicious code. Thereby, it will start to replicate itself on the computer. Then the Swen worm virus will access the network, replicating itself and transmitting to other computers on the network. It can intrude a user’s browsing experience, consume the computer’s resources through sheer reproduction, or even go to the extent of exhausting your network bandwidth. How to Remove Swen Worm Virus? Topping the list is the recommendation to maintain an up-to-date operating system and all other software patches. This helps reduce the risk surrounding the lately discovered vulnerabilities. Secondly, never rely on an outdated antivirus software. Download a free antivirus software like Comodo Free Antivirus from the internet and stay protected from malicious software. The Comodo Antivirus software offers multi-layered levels of threat protection to keep your system stay away from problems. Thirdly, never open unsolicited emails or the attachments that arrive in them. Most of the time, hackers make use of emails as it has the ability to sneak into a robust defense system. Lastly, if your system has been compromised, then you should isolate, scan and then repair it. 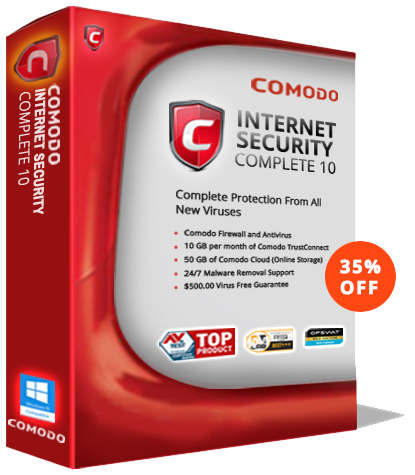 For more details on Comodo free antivirus visit our official page.